Toner Plastics was proud to help sponsor this years Printathon at Brandeis University.To learn more about Printathon, visit their website. (All photos compliments of Gabriel Seltzer). 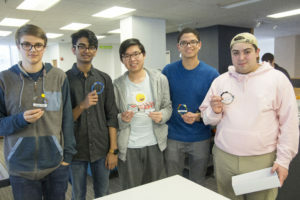 On Saturday March 25th Deis3D, Brandeis University’s 3D Printing club, and Brandeis University’s MakerLab kicked off their fourth annual Printathon. 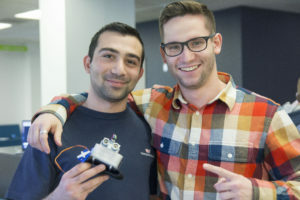 This year, the social justice themed event brought over 60 participants to Brandeis’ Library, where they competed for 24 hours to design and build a prototype to meet this year’s challenge: “Make it Human”. 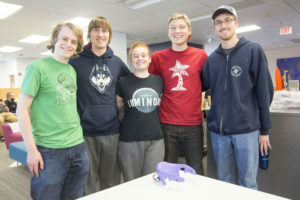 Students from colleges across the north-east came to compete, including teams from Olin College, the University of Connecticut, and Bridgewater State University, among others. 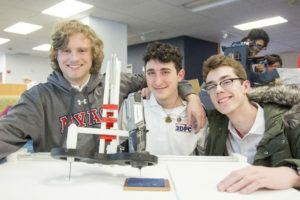 On top of that, several teams of high school students from Waltham and Brookline joined the competition. 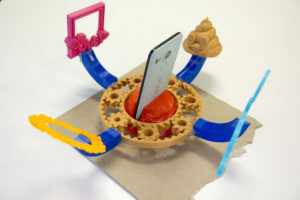 Over the course of the 24 hour event, participants brainstormed, designed and 3D printed their final design from scratch. To aid them in that process, Lucas Ewing from Autodesk and Michael Maher from Solidworks came to give workshops and tutorials of each company’s respective 3D design software. 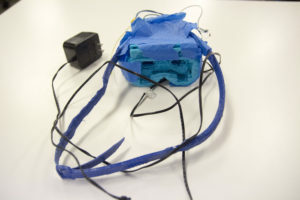 When it came to physically printing their designs, participants used their own printers, those owned by Deis3D or Brandeis’ MakeLab, as well as four lent by MakerGear. 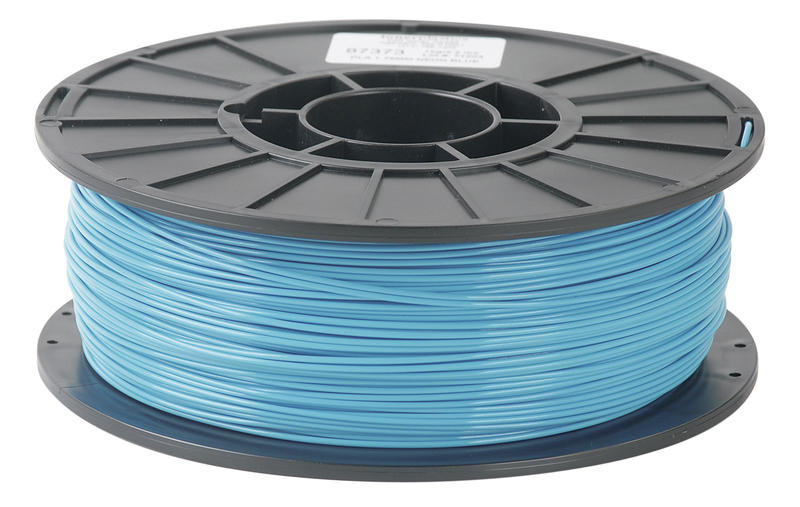 By Saturday evening, more than 50 different 3D printers were at work! To add some additional inspiration, several specialists in the tech world gave talks and advice throughout the event. Ira Perlow, creator of the Phoenix Bios system, gave advice to participants about engineering, and shared his stories from the early days of computing. Later in the evening, Drew Houston, the CEO of Dropbox called in to motivate the hackers and answer questions about creating a startup. 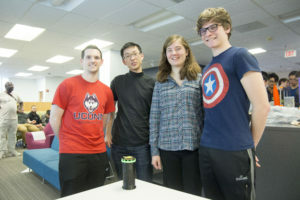 By Sunday morning, each team had build their prototype, and was ready to pitch to the panel of judges: Michael and Lucas returned, and Rhiannon Chiacchiaro from Deep Core Data, and Jordan Pollack, a Brandeis Professor both arrived. Before judging, Rhiannon ran a quick debrief, and participants shared out their favorite, and most challenging parts of the previous 24 hours. Each team then pitched their projects, and showed off what they’d made. 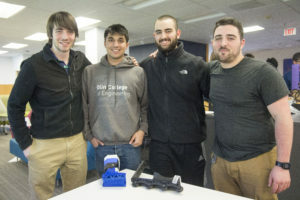 This year, creations ranged from UCONN’s “Na’vi Band,” a customized headband that listens for noises and vibrates to alert a user of their location, to Olin’s “Speed Bracer,” a rollerskate that can double as an ankle brace. 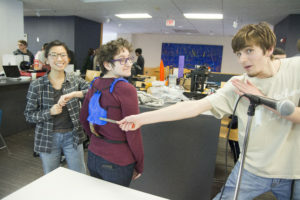 Beyond that, Brandeis’ “Handy” presented a modern alternative to the white cane, and a team from Brandeis created “3D Posture,” a customized back brace created with 3D scanning. 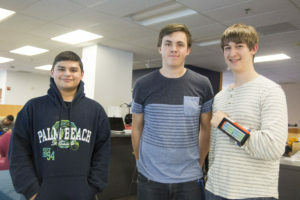 The winners of the event got to take home some fantastic prizes, ranging from 3D printers, to 3D printing filament, to 3D printing software licenses and printing credits. All of these were donated by the sponsors of the Printathon. This year’s Printathon was better than ever, with more sponsors and more attendees than ever before. For the first time in the Printathon’s history, not a single 3D printer was damaged during the event, and we had a historically low print failure rate! 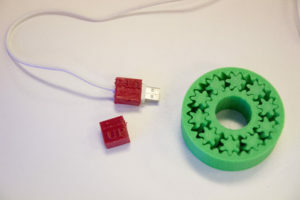 However, Deis3D and the MakerLab are already starting to plan next year’s Printathon and improve on the formula. So, stay tuned for more news coming from Brandeis University.